Jim Willie: The Collapse is At Our Doorstep! This entry was posted in Uncategorized and tagged Intervju, Jim Willie, Kollaps on March 18, 2013 by Petter. Lite perspektiv på eventuella kommande plattformar och system för handel utanför dollarn. This entry was posted in Guld & Silver, Makroekonomi, Politik and tagged Guld & Silver, Jim Willie, Kina on February 3, 2013 by Petter. The typical human reaction to any infection, vermin, danger, or toxicity is to stand back, to isolate the agent, to trap it, to prevent its further spread or release, then to remove it in a safe secure way if possible using trained professionals. Eventually decisions must be made on the level of acceptable risk on the removal, like what is willing to be lost or damaged or killed in the process. Risk analysis, cost trade-offs, and minimization decisions must be evaluated and executed. The toxic agent in global trade, global banking, and global bond market is the USDollar. In 2009, the Jackass began making a certain firm point. Those nations that depart from the entire USDollar system early will be the leading nations in the next chapter, with stronger foundations, richer solvency, emerging economies, healthier financial markets, efficient credit engines, growing wealth, stronger political helm activity, and better functioning systems generally. Imagine a contaminated blood system that infects, corrupts, and destroys all interior organs from the spread of the toxin. Those nations that stick with the crumbling USDollar system stubbornly will find a horrible fate with devastating effects, rampant economic damage, broken financial markets, sputtering credit engines, tremendous loss of wealth, wrecked supply lines, poverty spreading like wildfire, ruined political structures, social disorder, isolation from the rest of the world, and a fast ticket to the Third World. That is EXACTLY what is happening in the last several months. A division has begun, as the East has been busily installing the next generation platforms, as related to trade, banking, and commercial integration. This entry was posted in Guld & Silver, Makroekonomi, Politik and tagged Fiatpengar, Guld & Silver, Jim Willie, Kollaps, Olja, Råvaror, USA, Valutor on December 28, 2012 by Petter. This entry was posted in Guld & Silver and tagged Dollar, Europa, Guld & Silver, Jim Willie, USA, Valutor on November 23, 2012 by Petter. Jim Willies senaste utdrag från hans Hat Trick Letter. Om den globala finansiella krisen, USA, guld m.m. Viktigt att komma ighåg är att om du tycker det är mycket USA på denna blogg så är det för att USA är väldens största ekonomi. Så som USA går går också till stor del resten av världen. Och som Bodis senast skrev om så är Sverige en ganska liten, exportberoende ekonomi. Some competent analysts claim the United States and Western nations are stuck in the eye of the hurricane. Maybe so, but the internal stresses are so great that they will move beyond the eye into a zone of clearly apparent destruction soon. Some aware analysts believe the bond monetization plans will lift the financial markets. Maybe so, but the ensuing and continuing damage to the economies is profound from rising cost structures. Some awakening analysts no longer look to the USFed as a source of solutions. 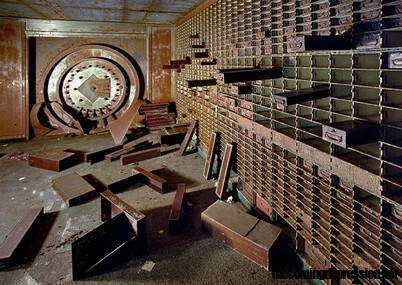 They see the central bank as increasingly desperate, pushing the same levers that accomplished nothing in the past. In fact, the failing central bank franchise system is visible in the open for all to see, with the embarrassment noticeable when the good chairman speaks as high priest of hollow dogma. New money backed by nothing swims around, financing the USGovt deficits, redeeming toxic bonds, adding nothing to the capital base. In the background is a pernicious effect, having come full circle. The Chinese industrial expansion since year 2000 came largely at the expense of the Western economies. They forfeited thousands of factories in the mindless pursuit of lower costs, while overlooking the abandoned wealth engines that produced legitimate income. In the last couple years, the Western economies have served as weakened customers for the Chinese production. The effect finally has slammed China, which complains of weaker US and European demand. Any trip through Spain will demonstrate that smaller Spanish factories and mills are shut down, with Chinese imports in replacement, as local shops stock mainly Chinese products. This entry was posted in Guld & Silver, Makroekonomi and tagged Banker, Börsen, Dollar, Europa, Fiatpengar, Jim Willie, Kollaps, Skulder, USA on October 18, 2012 by Petter. 22 minuter in börjar intervjun med Jim. Jim pratar om: The Fed, Derivat, QE, Inflation, Guld & Silver, Bonds m.m. This entry was posted in Guld & Silver, Kommentarer, Makroekonomi and tagged Derivat, Fiatpengar, Guld & Silver, Inflation, Jim Willie, The Federal Reserve, USA, Valutor on October 8, 2012 by Petter.